Universal Bluetooth boxes with a wide range of applications! 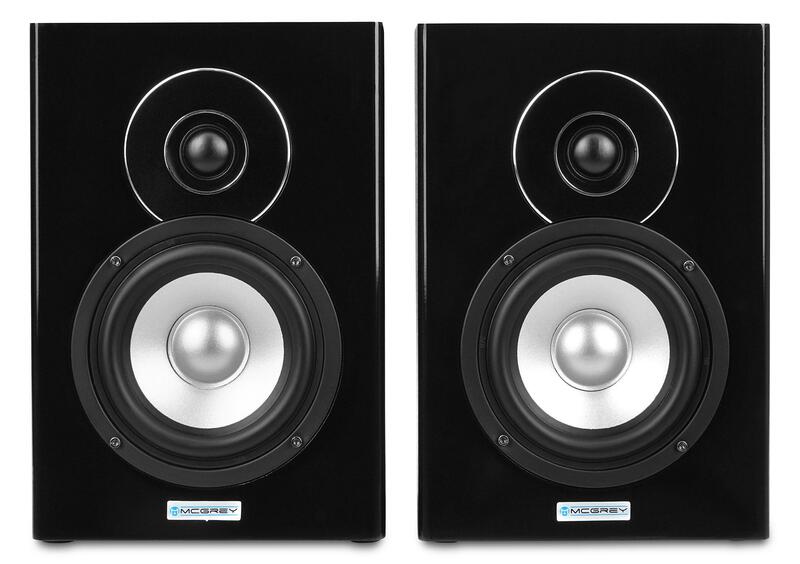 The McGrey BTS-235A Active Studio Monitor Speakers Bluetooth is a reliable pair of Bluetooth speakers, which comes with a variety of different connectors. Whether as a monitor for home studio or recording applications or for multimedia use in the private sector – music reproduction in the party cellar. 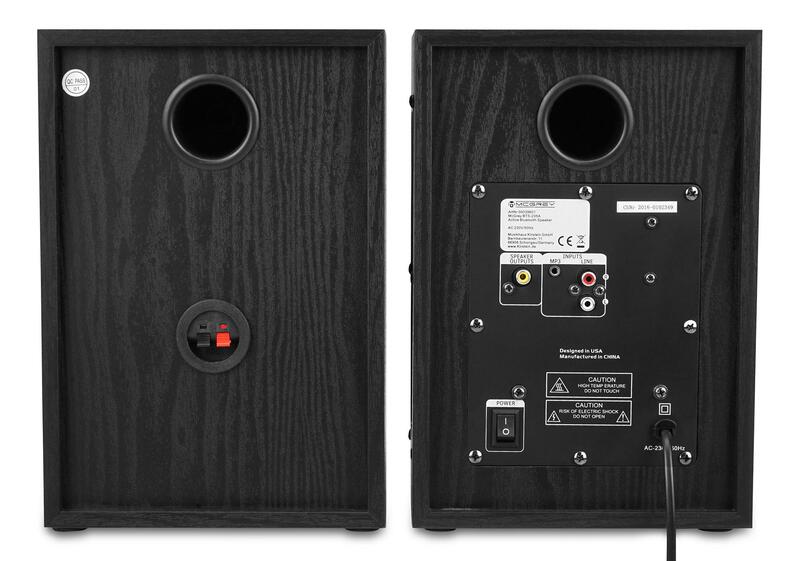 The active loudspeakers are suitable for a wide range of sound reinforcement tasks and are more than adequate to all sound requirements. 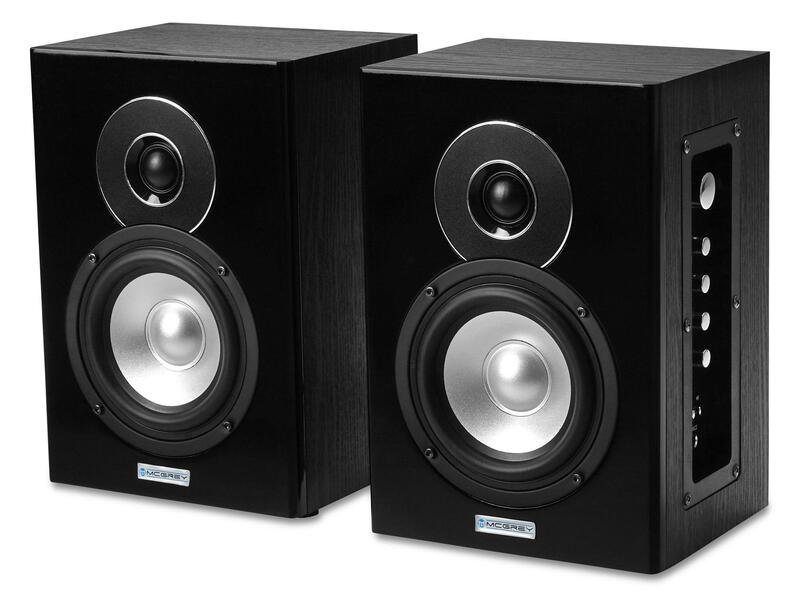 The 2-way loudspeakers not only sound great with their balanced sound characteristics, but also look good with their stable and extremely compact housing. For maximum connectivity, the speakers have a USB port and an SD card slot in addition to the integrated Bluetooth interface. A 3.5 mm AUX input and a stereo RCA input round off the connection diversity. Volume, treble and bass can be easily and individually adjusted via the integrated 2-band equalizer with high-quality rotary knobs. The compact Bluetooth speakers are also predestined for karaoke parties. 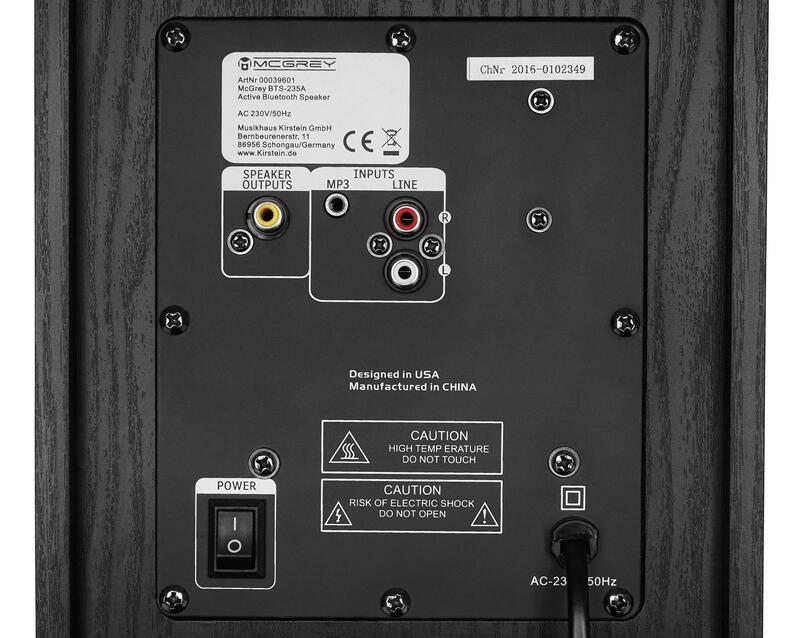 On the side of the master box it is possible to connect up to two microphones (6.3 mm jack) at the same time. These are, independently of the music, separately adjustable in the volume. 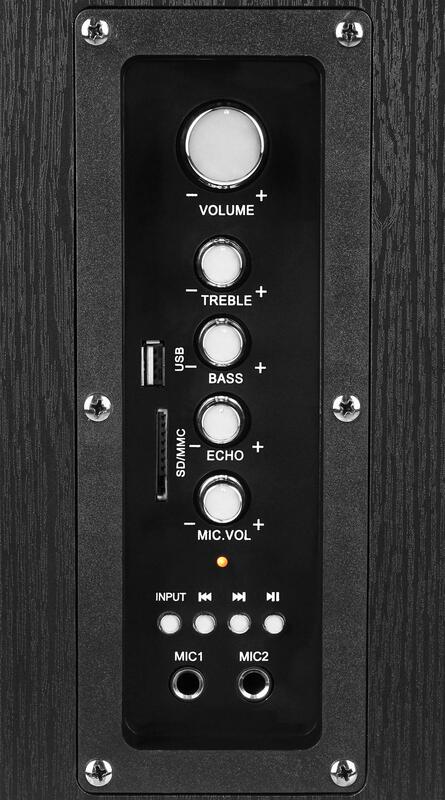 The microphone section also has an echo (reverb) function in order to give the voice the appropriate expression. The BTS-235A Bluetooth speakers set offers all the features you would expect from hi-fi speakers. The light but nevertheless resistant wooden housing and the piano lacquer-coated front side not only looks great, but also protects the speakers permanently and reliably from damage. For more info please contact us here!